By making your own sausage at home, you can control the ingredients, spices, and fillers. Those on a low-fat diet can control the fat content of homemade sausage, but keep in mind that less fat will mean a dry sausage. 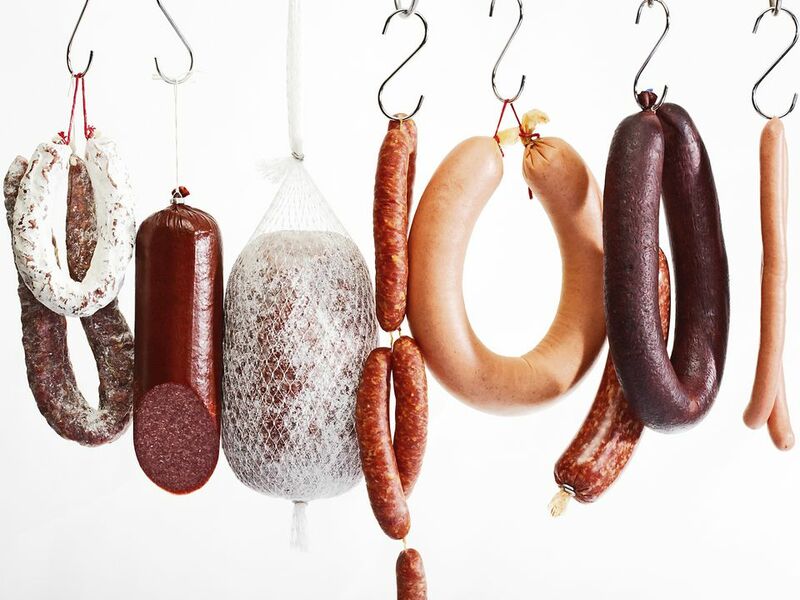 How low fat your sausage depends on your own unique tastes. If you're worried that your health concerns will result in you sacrificing flavor or quality, strike a balance between the two. Maybe add a little more fat than you originally set out to do but eat less, or make a lower fat sausage and eat more. Decide which version will meet your health needs and whet your appetite. Lower fat sausage doesn't have to mean dry sausage. You can use different methods to give lower fat sausage more moisture. For example, adding fruits, such as chopped apple or raisins will add moisture back. You may also try onions, mushrooms, and other moisture-rich veggies. Even tofu will contribute more moisture to sausage links. The great thing about this method is that if there's a fruit or vegetable you really love, you can enhance the flavor of your sausage links with it. Apple is an especially common fruit used in sausage making. You can further reduce the fat content by up to 20% without sacrificing moisture by cooking fresh sausages, draining the fat and then patting the links dry with paper towels. Using sausage in small amounts as a flavor accent instead of as a main dish will also help reduce fat in your diet, yet still let you enjoy a bit of sausage. Consider this good news if you've been told you need to lose weight but are dreading eliminating all the foods you enjoy, such as sausage. If you've never made sausage before, use recipes and cookbooks to help you during the process and to learn about the origins of sausage and how it's manufactured. The collection of recipes below, for instance, includes a wide variety of sausage blends along with instructions about using sausage. The important thing to remember about any recipe is that it is easily adjustable to fit the tastes and needs of your own family.